Meet my friend Hanna. She’s 16 years old and lives in Texas. If you thought home-schooled teens might be out of touch or uninvolved with what’s going on outside, you don’t know Hanna! Here’s your chance to get to know her. Welcome, Hanna. Tell us a little about yourself. Well, I was born in Washington, but we moved to Texas when I was a year old. I learned to read when I was three and started writing when I was eight. My mother had started writing her novel, Moonfall around that time, and I guess she was one of the initial reasons I got into it. I think one of the biggest parts of my life, one that’s affected me as a person, would be the complications of my health. When I was five, I was diagnosed with juvenile idiopathic arthritis, and when I was 14, I was officially diagnosed with fibromyalgia, as well as peraformis syndrome. It’s important for anyone with a disease or a disorder to remember that you are not your disease/disorder, it does not define you. What defines you is how you react to it. And I like to try and live by that, because this is something I have to live with every day and it can be more than just hard, but I’m doing it. I guess that’s what makes me, me. Do you read a lot? Which kinds of books do you like to read? I try to read as often as I can; most recently I read Magnus Chase and the Gods of Asgard: the Sword of Summer. I’ll read more often and faster if it’s something I find compelling or interesting. That goes for both fiction and non-fiction. Would you like to write a book like any of those someday? Or if you’re writing one now, what is it about? I love writing just as much as I love reading, if not more so. I mainly write sci-fi and contemporary fantasy and I have a huge folder on my laptop just for book-y stuff. It’s kind of overflowing actually. I do have a couple I’ve put most of my focus into though. The main one I’m working on is about a soon-to-be 16 year-old girl, named Valentine Arzela. Her mother disappeared when she was very young and ever since then, a string of related disappearances have occurred. At least until the day she kinda accidentally blows up a supermarket parking lot and two winged teens pay a visit, both with very different agendas and both wanting her to join their cause. Which character in the Bird Face series of books did you like the most? Is that because she (or he) reminds you of yourself or because you’d like her (or him) as a friend? I think I liked Wendy the most. I liked being inside her head. She was cute and funny in her own way and reminds me of myself at a younger age, haha. She’s relatable. Outside of reading and writing, I love dancing, hanging out with my friends, listening to music, and singing. Mostly dancing though; I love ballet, pointe, and contemporary. I also make jewelry. I’ve been doing that for several years, probably since I was about 8 when my grandmother bought me some stretchy string and a small bead kit and asked me to make her a necklace, hehe. The next Christmas, my parents loaded me up with beads and tools. Now I’ve made quite a bit in bulk and I’m about to start an online store to sell everything I’ve made. What is the best thing about being home-schooled? What is the worst thing? Best thing? Well there are a lot of things I love about it. I like getting to sit on a couch instead of a hard chair and not having to work as long as my friends who go to the local public schools. I like getting to choose my curriculum and having my parents around to help me if I’m having trouble. It’s pretty cool, in my opinion, haha. The worst thing about it…either not having school clubs or having a harder time getting into, as well as finding information on, SAT/ACT tests and Dual Credit at local colleges. There are more forms to fill out and it can get very confusing. 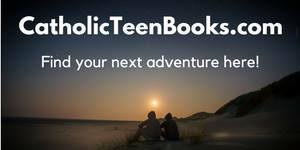 Do you do things with teens who are homeschooled and/or with other teens? I haven’t met many homeschooled teens, but last year I took dance with one and we starred in the Nutcracker ballet together. Most of the teens I know are from my dance classes, and they all go to public school. As for what we do…we mainly just hang out at dance since we see each other there every week, haha, but sometimes we’ll go out to eat after competitions or weekend classes. With my two best friends though, we’ll go to each other’s houses and birthday parties. We’re actually planning a shopping trip soon. Do you have a lot of friends or one or two close ones? Why? I can count my friends on one hand and my closest friends with two fingers. I do love socializing and meeting new people, but I’m also really picky about who I consider a part of my inner circle. And, personally, I feel like having a small, tight group is better than having several ‘friends’ that you don’t really know and can’t rely on. What makes a good friend for you? Someone who will keep your secrets, give it to you straight, and voice their opinions, but won’t judge you for yours. A good friend is someone you can rely on and someone who won’t lie to you or go behind your back. And someone who’s quirky and funny and original is totally the bomb, in my more personal opinion. Are you friends with any boys? Yes, one, he’s my best friend actually. I’ve known him longer than any of my other friends and I’m closer to him than anyone else I know. What is the best thing about friendship with a boy? Well, being someone who always wanted a brother, it’s kind of like having one. That’s one of the best things to me, having a guy who will stick up for you and be that big brother figure even if he’s younger than you (by a year and a few months, HA) and also give you advice on guys if necessary. If you’ve ever had a bad argument with a best friend, what was it about? Yes…the details I would rather not talk about, but yes, I have fought with a best friend before. And because of what caused the fight and their actions since then, we are no longer friends. What do you look forward to this summer? Next year? After you graduate high school? For the summer, it’s having my school done, ha! Next year: SAT and PSAT tests and starting dual credit at the community college. After high school: I can’t wait to go to college and live in the dorms and have the big textbooks – I LOVE TEXTBOOKS…and now I probably sound like a nerd, ahaha.